As a contractor installing welded and brazed piping systems in accordance with ASME B31 Piping Codes, you are required to have welding and brazing procedure specifications and qualified welders and brazers as required by Section IX of the ASME Boiler and Pressure Vessel Code. Writing and qualifying welding and brazing procedures to meet Section IX requirements is complex and time consuming. You can save time by utilizing over 100 welding and brazing procedure specifications (WPSs and BPSs) that are qualified to ASME Section IX and are available for immediate use on piping without further qualifications. NCPWB works closely with the United Association (UA) in conducting welder qualification testing. This testing is done under a program that is accredited by the Hartford Steam Boiler Insurance and Inspection Agency and is in full compliance with ASME Section IX. Testing has been standardized and test information is stored in a national database, making it easy to find a welder locally. These welders are qualified to use the process and to weld on the materials that a contractor needs for a job. Welders can carry their certifications with them from one company to another and the company can rely on this seamless transition to save them time and money. 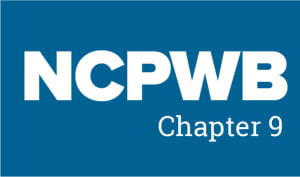 Membership in the NCPWB will entitle you to as many weld procedures and welder/brazer documents as you would like at absolutely no cost. The cost of membership is less than you would pay to certify ONLY ONE welder as a non-member! Can you afford not to join? Maintaining your welder and brazer continuity records is an important part of the code requirements for a contractor. The NCPWB can assist in the transferability of those continuity records when a welder or brazer ends work with one contractor and begins with another. Rather than retesting the welder or brazer, a member contractor can simply call the M&SCA office and request the original test paperwork and continuity records. This system only works however if you submit your continuity records to the NCPWB. To do this, simply download the continuity report form and email it in.